I thought a reminder of the cocktail party might be in order as I have posted a few items now and can’t expect people to back track through all of them. So, forgive the repetition but here we go. On Monday, May 30th 1932 Elvira Barney and Michael Scott Stephen held a cocktail party between 6pm and 10pm at 21 William Mews (off Lowndes Square).Elvira had lived at the Mews since January 1931 and the small front room was designed with Parties in mind. The main two items of furnishing were a cocktail bar and a large gramophone. She held cocktail parties about twice a month. They were informal affairs and always took place early in the week. The invitation process seems to have consisted simply of telling people she met at a party in someone else’s house that she was doing the same next week so “do drop in”. In addition, Michael or Elvira would ring round on the morning of the party and invite others. In the case of the 30th May, many (if not most) of the guests had been invited at Terence Skeffington-Smythe’s cocktail party (the previous Wednesday or Thursday) at 19, Orchard Street. Michael also made some phone calls on the Monday. Over the course of the evening, between 25 and 35 people came and went. Some were close friends, some were regular attendees, some had only met Elvira at Skeffington-Smyth’s and some had never met her at all. Her two closest friends at the time, Leonie Fester and Terence Skeffington-Smyth were invited but didn’t make it. They turned up at the Blue Angel later on. 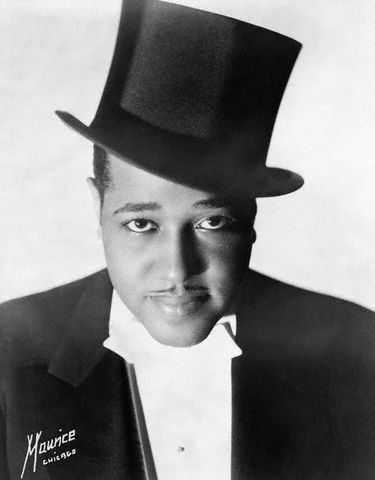 Hugh Wade, the resident pianist at the Blue Angel and The Blue Lantern, knew Elvira well. He was among the first to arrive. Also early was Irene MacBrayne of 88 Brompton Road, an actress. Irene was a regular at Elvira’s parties. Sylvia Coke, of 4 Carlyle Square, came with a “very great friend” who she was unwilling to name. She didn’t know Elvira well but had met her at various parties over the last couple of months. Brian Howard came with Toni Altmann (and,presumably,Eddie Gathorne-Hardy). All three were living at 39 Maddox Street. Howard had known Elvira by sight for some five years but had only properly spoken to her at Skeffington-Smyth’s. Gathorne-Hardy was not a friend but knew Elvira as a regular at the Blue Lantern. Toni Altmann didn’t know anybody very well. 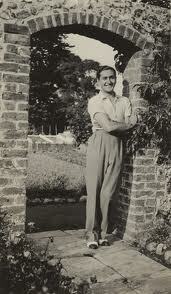 He had recently gone to a party held by performers in the play “Casanova” with Sylvia Coke and had met Elvira there. Denys Skeffington-Smyth (17 Southwick Street) was in Casanova so that may be the connection (or the Terence S-S cocktail party may have been for the cast). Denys was at the Monday cocktail party and had met Elvira at various gatherings over the past couple of years, but did not consider himself a friend. Arthur Streek (26 Sackville Street) did, and seems to have been more aware of the rows between Elvira and Michael than other guests (or at least more than they would admit to the police). He arrived with two Americans – a Mr.Sherrill and someone called Milton. Ruth Baldwin and Olivia Wyndham were there. Olivia was visiting from America. They were holding their own “soiree” later, at 5 Mulberry Walk. If they knew Elvira at all, it would have been through Heather Pilkington, a mutual friend who might also have been in attendance. Someone identified as “Mrs.Butterworth” was there too, but I can’t work out who she was. The last guest to arrive was Arthur Jeffress. He had just got back from America and seems to have been the closest to a “guest of honour” that the evening held. He described himself as a “good friend” of Elvira’s and spent much of the rest of the evening with her and Michael. The party does not seem to have been at all “wild”. The gramophone played and there was dancing. The guests drank sherry, cocktails (gin, grapefruit juice and soda water) and, after Michael and a guest (named as Joe Carstairs by a Mews resident) had been dispatched to an off-licence, whisky. Given Michael and Elvira’s reputation, there may well have been cocaine on offer but there is no evidence to support such a claim. Only Hugh Wade and Arthur Jeffress appeared at the trial. Toni Altmann, Brian Howard,Irene MacBrayne, Sylvia Coke, Denys Skeffington-Smyth, Arthur Streek, along with Leonie Fester and Terence Skeffington-Smyth, gave police statements. Joe Carstairs sent, through her solicitors, a very forthright letter denying that she was present. The police either failed to find the other guests or perhaps, given that all the early interviews told pretty much the same story (everything was fine between Elvira and Michael), they just didn’t see the need. Cotes reports that one guest rang the police offering information but he never materialised. This might be John May, who rang round a number of people on the Tuesday. He was the first to inform Jeffress of the shooting, which suggests that he knew who had been where the night before. A neighbour told the police that he counted fifteen men arriving at the flat before he gave up. Why he counted only the men is anyone’s guess. Earlier accounts claim that several prominent people were very keen to deny any association with the evening or with Mrs.Barney generally, but this is more likely to be press speculation than actual fact. I think it is safe to assume that all of the attendees at Arthur Jeffress’ Orchard Court party went there from the Blue Angel (see https://elvirabarney.wordpress.com/30th-may-1932-parties/ ) and that it was therefore a fairly impromptu gathering. Elvira and Michael were invited but Elvira declined, claiming tiredness, which was unlikely given the descriptions of her as being “in high spirits” and “excitable” while at the club. In the light of subsequent events, it was not exactly a wise decision to return home. The inclusion of Barbara Waring (Born Barbara Waring Gibb 1912-1990) among Jeffress’ late night guests is further evidence of the importance of the theatre and young actors and actresses to West End club and party life. Who was she with that evening? 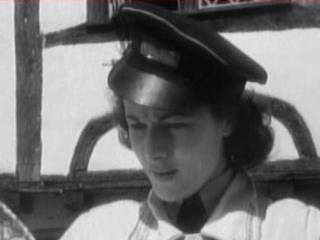 It is unlikely that she went to the Blue Angel alone, so fellow actress Irene MacBrayne is the most probable companion. Lester Empson Lucas (21), who is proving a little elusive, is another possibility. She was younger than most of the Monday night revellers (19) and was appearing in Noel Coward’s Cavalcade at the time (as, I suspect, was MacBrayne). She was a close friend of Sylvia Coke’s (they had been at RADA together) and may be the unnamed actress who attended the earlier Mews cocktail party with Miss Coke – although that does not fit with the statement Sylvia gave the police.I would doubt that she knew Elvira or Michael very well, if at all. However through her friendship with Sylvia Coke and Angela Worthington she would have met many of London’s fashionable and “fast” characters. 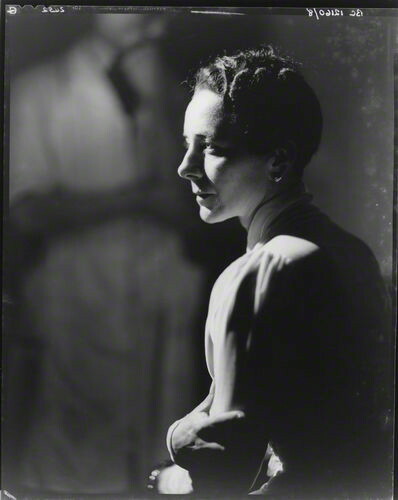 Her son’s obituary lists Noel Coward and Ivor Novello as friends of his mother and Angela Worthington cites John Heygate, Ewart Garland, Michael Sieff (of Marks and Spencer fame) and the disreputable Gussie Schweder as part of the young actresses’ circle. Belgravia-born Schweder was gay, dissolute and an inveterate party-giver at his Knightbridge flat. I’m sure Gussie would have had more than a passing acquaintance with Michael and/or Elvira. Cavalcade itself is an even more appropriate cultural marker of the demise of the Bright Young Things than the Barney trial. An extravagant and over-blown historical tableau, it turned Coward from darling of the sophisticates into a “national treasure” and respectable figure of the establishment almost over-night. 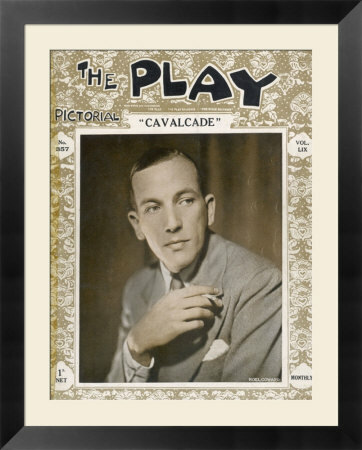 Though Coward, by 1931, was already the highest paid author in England, his plays still were considered somewhat racy and all had problems with the censors.Cavalcade, a sentimental pageant charting the lives of two families (one rich,one poor) through the events of the first thirty years of the century, struck just the right patriotic and nostalgic notes and a nation reeling from the Depression and the recent humbling abandonment of the Gold Standard took it to its heart immediately. Royal approval was given by the appearance at the second night of the King and Queen, the Daily Mail serialised it and it ran (to full houses) for over a year. The Conservative party even credited it with bolstering the middle-class vote and ensuring that the “Radical” thirties remained largely under their stewardship. The play’s impact on the West End was equally impressive. As it featured over 400 actors and behind the scenes workers, it provided much employment and for young hopefuls (like John Mills and Barbara Waring) was their first experience of a really successful long-run. Mention must be made of the elaborate sets and the wide range of costumes used in the course of the show. These were designed by Gladys Calthrop, Coward’s costumier,set-designer and confidante from The Vortex onward she was a member of the upper-echelons of lesbian Bohemia – her lovers included Mercedes De Acosta and Eva Le Gallienne, themselves indirectly linked to the Barney circle (through Tallulah Bankhead and Jo Carstairs). 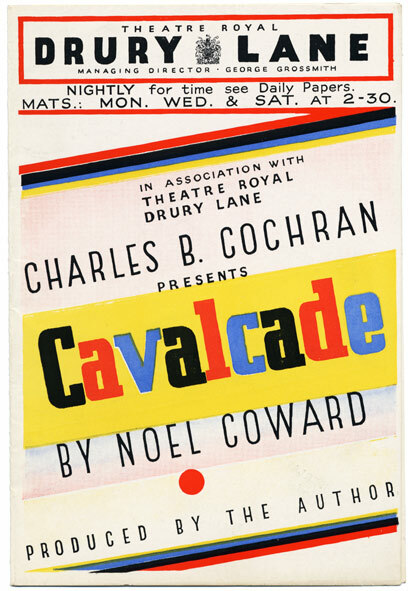 Cavalcade does hint at the tensions caused by the twenties’ moral , sexual and cultural upheavals and closes in a noisy night-club with “jazz-age decadents” and a female character singing “Twentieth Century Blues” , but as Philip Hoare points out “the overwhelming impression of the production was of nostalgic national introspection and sentimentality”. The endless patriotic speeches and chestnuts like “Keep The Home Fires Burning” ensured that tradition triumphed over modernity. The film itself is a mixture of, hopefully ironic, condescension and, for the time, quite progressive views about women. It remains oddly moving. Waring, like the whole female cast, is excellent as a rather unpleasant and aloof dancing- teacher who is forced to re-examine her prejudices. Barbara Waring, whose father was a Doctor, had married the theatrical agent Laurence Evans in the late 1930s. As seems de rigeur for every woman this blog mentions, the first marriage was short-lived. In 1947 she married Geoffrey Cunliffe, son of Baron Cunliffe and Chairman of British Aluminium. Her creative career was not quite over though. A play of hers, “The Jaywalker” – religious in theme, was due to be performed at Coventry Cathedral in 1967. 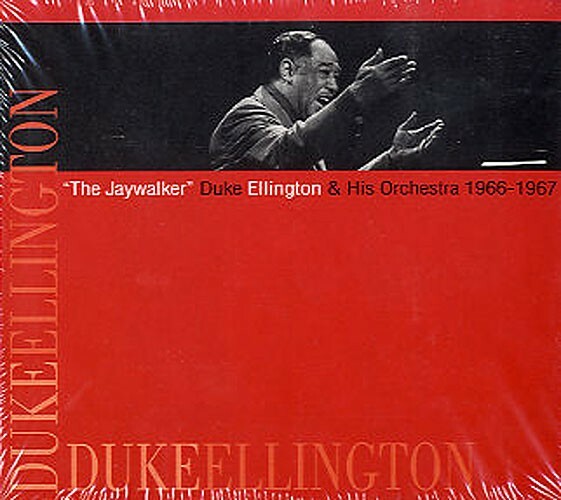 The music was by Duke Ellington. A mutual friend of Ellington and Waring, Mrs. Lesley Diamond made the introduction. As Renee Gertler (niece of the artist Mark Gertler), the future Mrs.Diamond had been one of many young English fans who had lionised and met Ellington on his first triumphant tour in 1933. Given this jazz and art connection it would be nice to place Renee Gertler in the Bohemian world of the Blue Angel etc. but she was actually a 13 year-old schoolgirl at the time. In the 1950s, however, her Park Lane home became Ellington’s favourite London retreat – a place to write and relax. One of the reasons Arthur Jeffress invited everyone back to his place, that night at the Blue Angel, was so he could play them some of the “hot” records he had brought with him from his recent trip to New York. I wonder if these included any Duke Ellington sides. It is not unlikely as he was already a favourite of the London cognoscenti (the hard-partying Constant Lambert being a particular fan).Anyway, I like the image of a young Barbara Waring nodding away appreciatively to the Ellington Orchestra in the early hours. In Brideshead Revisited the most potent symbol of Sebastian Flyte’s downfall is his relationship with the dissolute young German, Kurt. Kurt,permanently drunk and with a hideously infected foot, is a scrounger of the first order and a man so useless that he is dependent on the fragile (and slowly dying) Sebastian for everything. It is a hostile portrayal – Kurt is allowed no humanity, his purpose is simply to show the agonies that Sebastian has to undergo. Kurt is of course both foreign and of non-aristocratic background and Waugh, so precise in his depictions of the well-born, can only make the unworthy Kurt a grotesque, undeserving of our (and Sebastian’s) attention. Though Flyte is apparently based on the Hon. 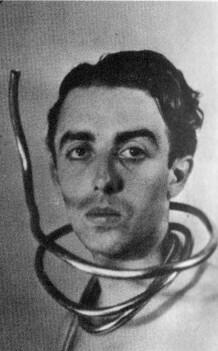 Hugh Lygon, the incongruous friendship (to Waugh,at least) between a fading but gentle aristocrat and a German of no merit or breeding is obviously inspired by Brian Howard’s ten year long affair with Anton Altmann – known only as Toni in reminiscences such as “Portrait Of A Failure”. When Toni attended Elvira’s party that relationship was just beginning and although he has little to add to our knowledge of the case his witness statement is not without interest, not least because it is a rare example of Toni speaking in the first person, rather than existing simply as an anecdotal decoration to the more alluring story of Howard’s own downward spiral. 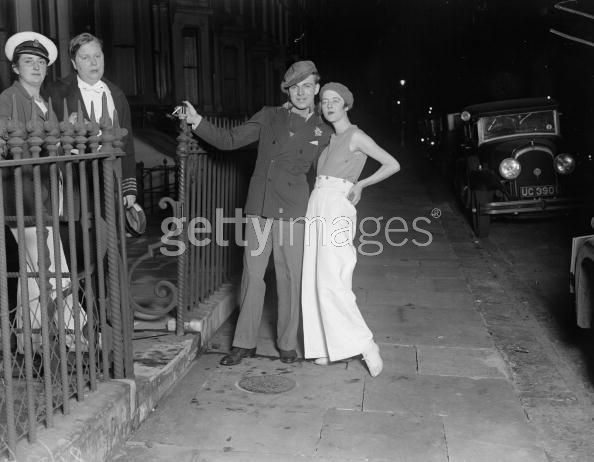 Altmann states that he had arrived in England in January 1932 and was living with Howard at 39 Maddox Street. He was in the country to improve his English and was a German citizen. He first met Elvira at a “Casanova” party that he attended with Sylvia Coke. The “Casanova” party was probably not yet another Bright Young fancy-dress affair, but a party given by performers in the musical “Casanova”. Denys Skeffington-Smyth was in it and, I think, one or two others of Elvira’s set. Either Denys or Terence Skeffington-Smyth are the most likely hosts. Altmann met Michael Scott Stephen just once, at the May 30th cocktail party at William Mews. Rather sadly, he describes himself as sitting alone throughout the party ( his English was not up to it) and then leaving with Sylvia Coke and Brian to dine and then on to a “party somewhere” (in fact, Ruth Baldwin’s at 5 Mulberry Walk). He left that gathering at 1.30 am and went straight home. Howard departed at the same time but with David Plunket Greene – was Toni not yet deemed good enough to socialise with Howard’s old Eton/Oxford circle? Whatever the case, one can’t help feeling that Toni is a bit lost in London and very aware of his outsider status. This period marked the beginning of a long partnership between Howard and Altmann . We have no real clue as to Toni’s feelings about the affair but we do know that although there was much conflict (often drink and drug related) there was real affection on Brian Howard’s part towards the young German. 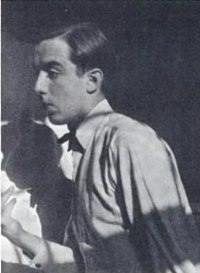 Altmann was bisexual rather than exclusively homosexual and Howard’s diaries and letters display some anxiety over that issue. Nonetheless they travelled Europe and North Africa together – meeting some of Elvira’s set (Barbara Ker-Seymer, for instance) and striking up friendships with Christopher Isherwood and Klaus and Erica Mann. Howard undoubtedly paid all the bills but Altmann should not be written off simply as a gigolo or glorified rent-boy. The relationship was ended by the War. In late 1939, Howard was in London and news came that Altmann had been interred as an enemy alien in France. Strings were pulled and Altmann fled first to Tangiers and then to the United States. Another of the Ruth Baldwin/Elvira set found him work there. This was Marty Mann, now a recovering alcoholic, who employed him as warden at her recuperation home for other alcoholics. Given Altmann’s fondness for hard liquor, this seems more to with loyalty and old friendships than sound business sense. Some time towards the end of the war Altmann married a wealthy American woman (one of Mann’s clients?) and disappears into normality. Brian Howard never quite recovered from the loss and his much commented-on air of aloneness increased noticeably in the following years. When Altmann stayed at 39a its reputation was at its most wild – mushrooms growing up the stairs, no locks on the doors, an incessant coming and going of, mostly drunken, Bohemians and hangers-on.What the young German made of this introduction to English society is unfortunately not recorded. Oddly enough,39 Maddox Street had another and more sinister German connection in the same decade when in 1936 the DAF , the Nazi Trade Union organisation, set up its offices there. 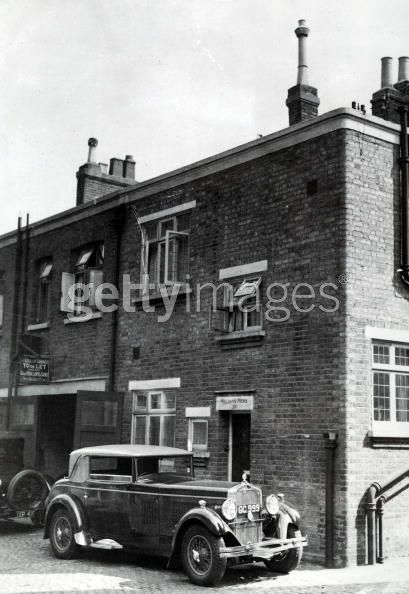 Although nominally concerned with the well-being of German workers in England it was widely regarded as a Spy Centre. By this time Howard was one of the more outspoken voices against Hitler – his knowledge of Germany gained through his travels there with Toni allowing him to pronounce on the subject with greater authority than most. Sylvia Coke of 4 Carlyle Square, Chelsea, attended the cocktail party with a “very great friend” who she would not name. Like the majority of the guests on the 30th May she had been invited at an earlier cocktail party (May 26th) by Terence Skeffington Smyth. Again, like most of the people at William Mews on the monday evening she knew Skeffington Smyth much better than either Elvira or Michael. She was younger than most of the guests (21) and seems to have had a good time. After the party she dined with Brian Howard at Brice’s in Wardour Street and then went to Mulberry Walk to Ruth Baldwin’s gathering. She then went with her unnamed friend to her house and drank some more, leaving about 3.45 to go home. Sylvia Coke rates a special mention in Angela Fox’s memoirs.Fox (as Angela Worthington) would have been about 18 at the time but could possibly be the close friend. As could the actress Barbara Waring, then appearing in “Cavalcade” but best remembered today for “A Canterbury Tale” . Waring however ended up at Arthur Jeffress’ party so it is probably not her. Worthington,Coke and Waring were all aspiring actresses at the time.Angela Fox is the mother of James and Edward Fox. She also writes of being taken to parties in Chelsea where cocaine was openly handed round. Her escorts on those occasions were Ewart Garland and John Heygate. Heygate is the man whose affair with Evelyn Waugh’s first wife ended that marriage and was therefore the inspiration for “A Handful of Dust” and one of the reasons that “Vile Bodies” takes a rather a dark turn towards the end of the novel. Coke, Waring and Worthington had all been at RADA together. Elvira Barney had briefly pursued an acting career. Two other of the Mews cocktail party attendees were on the stage – Denys Skeffington Smyth and Irene MacBryan. Sylvia Katherine Coke was born in 1910 to the Hon. Reginald Grey Coke and his third wife, the Russian-born Galia Hambourg. She married George Basi Stafford in 1936 and Percival Wren in 1947. Wren was the son of P.C. Wren of “Beau Geste” fame. She died in St.Albans in 1969. After the party Brian Howard, Anton Altmann and Sylvia Coke went to Brice’s Restaurant and then on to a small party at Ruth Baldwin’s flat. Also present were Olivia Wyndham, David Plunket Greene,a Mr.Carew and about five other people.